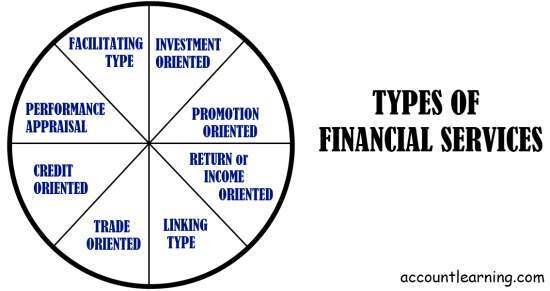 Various financial services in India can be brought under the following types. Meanwhile do read about the Major Players in the financial services industry where you get a list of players who mold the economy of a country. Hire-purchase finance companies facilitate consumers in the purchase of consumer goods while lease companies facilitate traders in the purchase of capital goods. Hence, they come under facilitating type. Merchant bankers promote investment by helping investors in fulfilling various formalities such as issue of shares and debentures. They also advice the promoters on the quantum of capital to be raised through issue of different types of securities. Promoting new ventures is taken up by the venture capital companies. Underwriters also help in the sale of securities which promote companies. The bankers also help entrepreneurs through project finance. Hence, they all come under promotion type. For those investors who do want to take risks yet but want to ensure a reasonable return for their investment, mutual fund companies are the best source which come under this type of financial services. Promoters, investors, public, foreign investors and government are linked by certain companies such as merchant bankers. 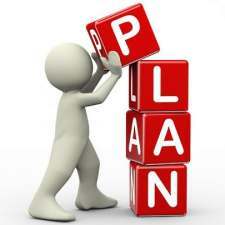 They not only link these people but also ensure that each one is satisfied with his/her return on investment. The merchant bankers act as the brain in coordinating the various entities. For the purpose of increasing the sales, both domestically and abroad, factors play a major role in financing the traders by financing a major part of the value of the traded goods. Forfaiting companies do the same while selling goods across the borders. 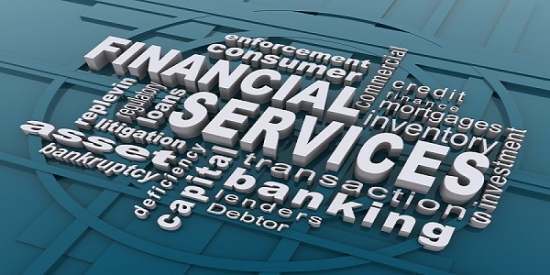 Financial services which provide credit to consumers will come under this category. Credit card companies and even hire purchase companies come under this category. In order to enable the public to know the financial strength of companies before investment, we have credit rating companies which provide ratings on the basis of the performance of the companies from various aspects. Thus, the strength of companies is known beforehand which will not only help the companies to get more finance but also to improve their performance in course of time.